HCM CITY— Authorities and experts in HCM City are considering a master plan to comprehensively develop the logistics industry that fully utilises the city’s advantages and meet both urgent and long-term requirements in the context of the country’s global integration. The plan is expected to be based on a logistics development plan outlined by experts from ministries and agencies, over six years ago for 2010- 20. At a meeting held last week, the city’s Department of Industry and Trade (DoIT) and the Việt Nam Logistics Agency (VLA) agreed that the city has the necessary conditions to develop a strong logistics industry. 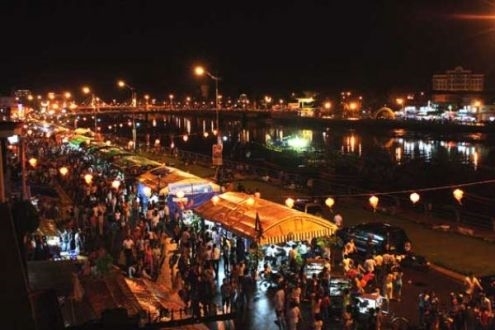 It has a strategic location and is an important transport hub not only for Việt Nam but also the region. Moreover, the city has all modes of transport – road, rail, air and waterway – and a system of pipelines. The main goal of the new master plan is to fully tap all the above advantages, particularly seaports and inland waterways. The plan envisages building an international-standard gateway port, which will be the most important port for import-export activities in the south of the country. Some locations suggested by experts from the DoIT, VLA, Department of Transport, Maritime University and logistics companies are Hiệp Phước, Cát Lái, Củ Chi and Linh Trung –Thủ Đức. The other main goals are to develop ring transport systems and axis roads leading to the international gateway port, locate industrial parks and trade centres based on sound logistics principles, and supply logistics services to many countries and territories around the world. To realise the goals, the city will have to develop a professional logistics information system and organise production and distribution based on logistics rules. It will also have to modernise financial and payment services and other services that can support logistics activities, including training of human resources. According to the city statistics agency, the city’s foreign trade has been increasing consistently, rising from US$55.58 billion (27.29 per cent of the country’s total) to $64.34 billion last year. HCM City and its neighbouring provinces have 12 inland container depots (ICDs) like Tân Cảng, Sóng Thần, Biên Hòa, Transimex, Tanamexco-Tây Nam and Sotrans, many of which are connected with roads but not waterways. Infrastructure facilities near ports are almost always overloaded. All these have contributed to raising transport costs, thus stymieing the competitiveness of the domestic logistics sector. There are currently 1,300 logistics firms, more than 60 per cent of them in HCM City, mainly operating in shipping and delivering, transport, warehousing, ports, loading and uploading, distribution, customs procedures and integrated logistics services. Seventy two per cent of the local logistics companies are small- or medium-sized, and only 5-7 per cent of human resources are properly trained. A Việt Nam Logistics Association (VLA) spokesperson said some major seaports are operating at below capacity due to the lack of road connectivity, but others with good road connectivity are overloaded and cannot keep up with the increasing demand from logistics firms. Human resources also pose a difficult problem for the industry, he said.